Hello EMDF family. I trust that you all are reflecting on everything that you have to be thankful for and planning a wonder-filled Thanksgiving day. Whether you celebrate the holiday or not the energy of gratitude that this time of year brings is perfect for all of us to express gratitude for where we are and what we have. Of all the things to be grateful for may I remind you to express gratitude for the personal growth that you have experienced in your life. 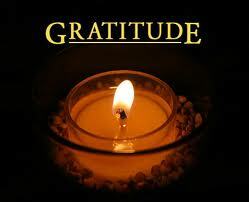 Express gratitude for the challenges that presented themselves in your life that have served to spark your evolution. Express gratitude for the way you have handled every situation and circumstance that has come up in your life. Express gratitude for YOU; where you are and where you are going. Express gratitude for the great things that you are creating in your life! Express gratitude for the dreams and life visions that wake you in the middle of the night for they are indicators of your destiny! Wishing you all the most wonder-filled day of gratitude, luv and peace!